This is a die-cut Billings-Chapin Paints porcelain sign. This particular Billings-Chapin Paints sign features a young sailor wearing overalls next a large navy paint can against an orange background. 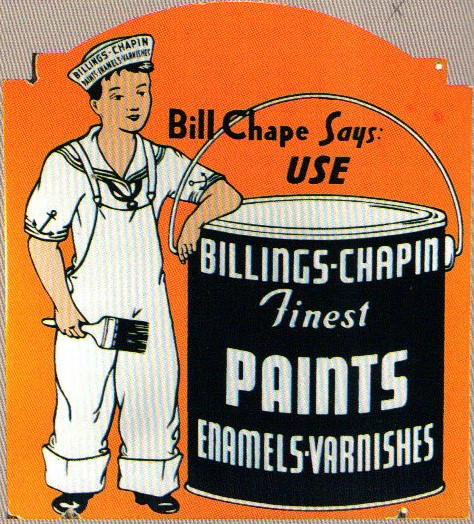 It reads, “Bill Chape Says: Use Billings-Chapin Finest Paints, Enamels, Varnishes”.